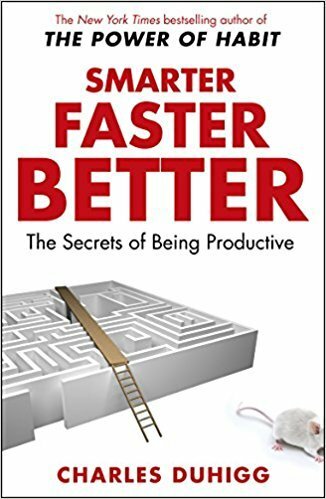 From the bestselling author of The Power of Habit comes a fascinating new book exploring the science of productivity, and why, in today's world, managing how you think--rather than what you think about--can transform your life. Productivity, recent studies suggest, isn't always about driving ourselves harder, working faster and pushing ourselves toward greater "efficiency." Rather, real productivity relies on managing how we think, identify goals, construct teams and make decisions. The most productive people, companies and organizations don't merely act differently--they envision the world and their choices in profoundly different ways. This book explores eight concepts that are critical to increasing productivity. It takes you into the cockpit of two passenger jets (one crashes) to understand the importance of constructing mental models--telling yourself stories about yourself in order to subconsciously focus on what really matters. It introduces us to basic training in the U.S. Marine Corps, where the internal locus of control is exploited to increase self-motivation. It chronicles the outbreak of Israel's Yom Kippur War to examine cognitive closure--a dangerous trap that stems from our natural desire to feel productive and check every last thing off our to-do lists, causing us to miss obvious risks and bigger opportunities. It uses a high-achieving public school in Cincinnati to illuminate the concept of disfluency, which holds that we learn faster and more deeply when we make the data harder to absorb. It shows how the principles of lean manufacturing--in which decision-making power is pushed to the lowest levels of the hierarchy--allowed the FBI to produce a software system that had eluded them for years. It explores how Disney made Frozen into a record success by encouraging tension among animation teams--a version of what biologists refer to as the Intermediate Disturbance Hypothesis, which posits that nature is most creative when crises occur. With the combination of relentless curiosity, deep reporting and rich storytelling that defined The Power of Habit, Charles Duhigg takes readers from neurology laboratories to Google's brainstorming sessions and illustrates how we can all increase productivity in our lives.